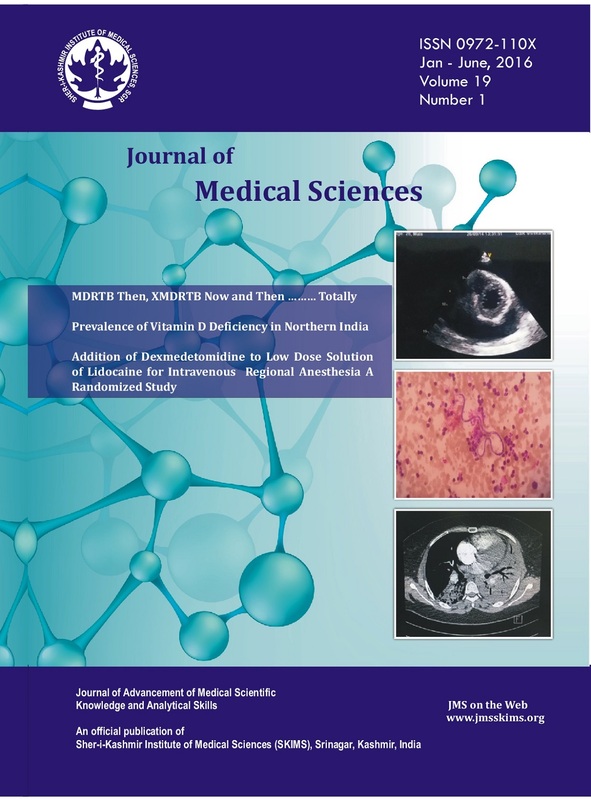 Is Fast Track Cardiac Anaesthesia Cost Effective? 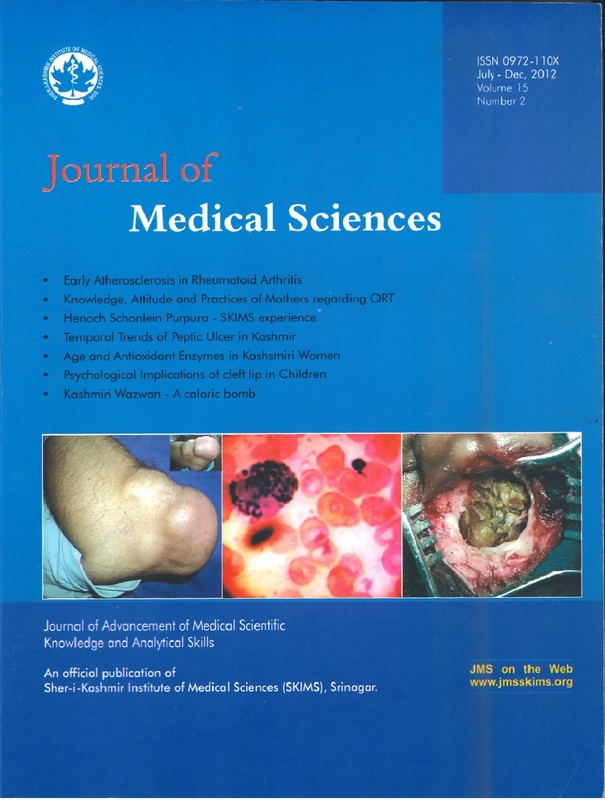 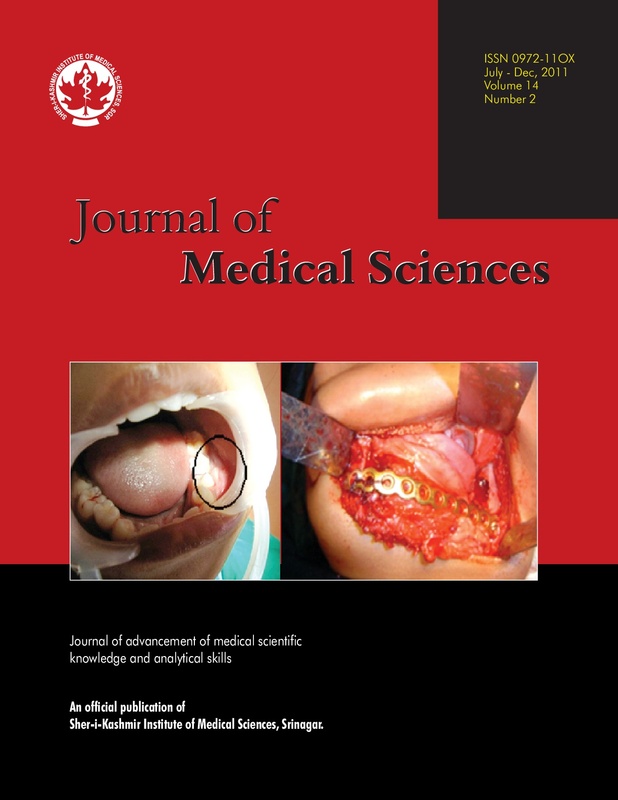 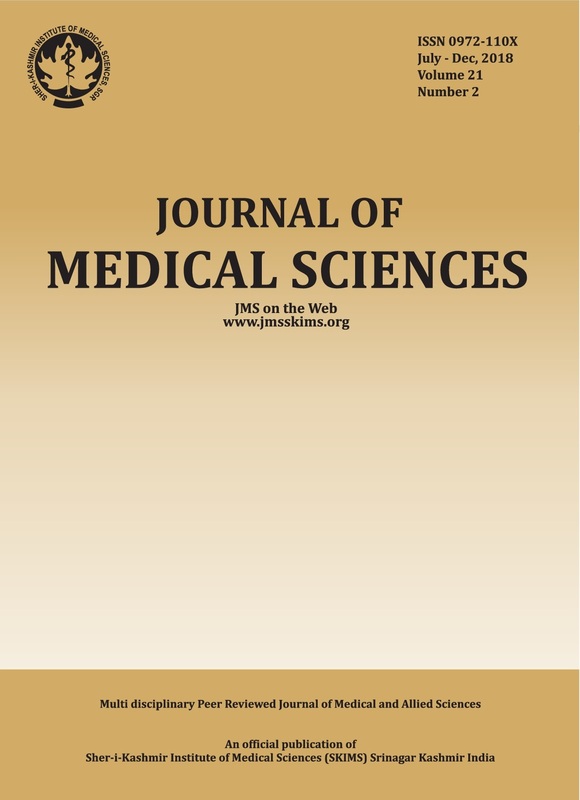 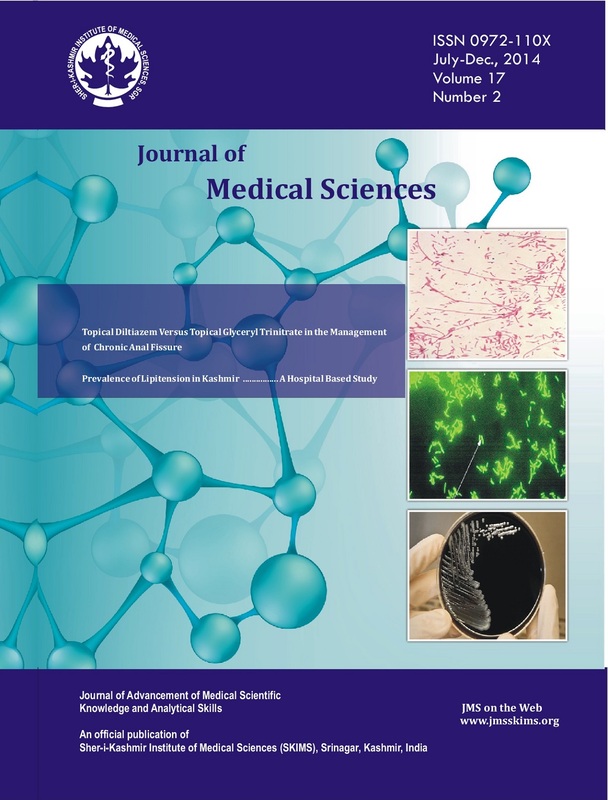 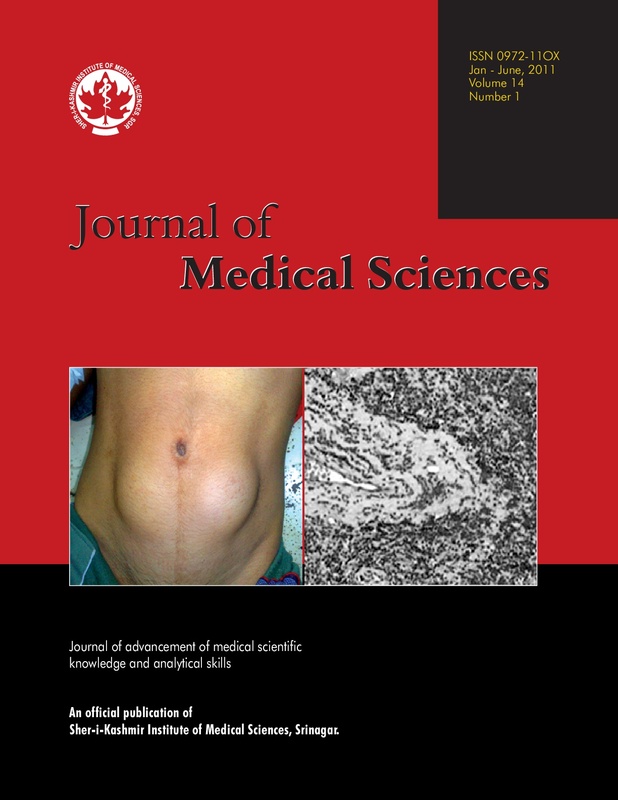 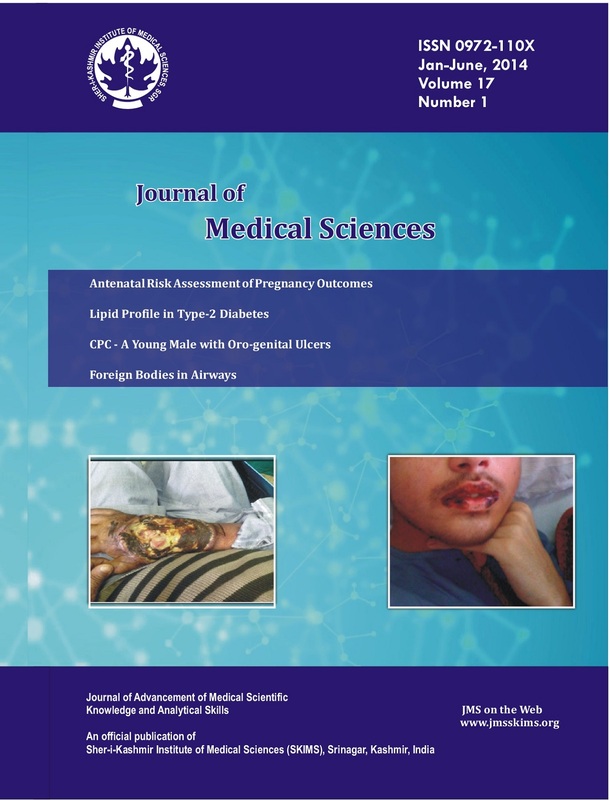 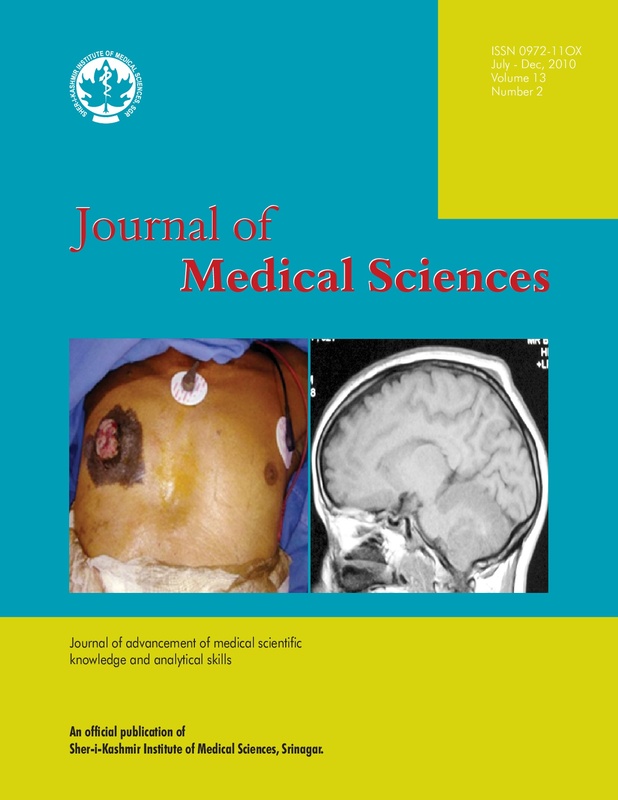 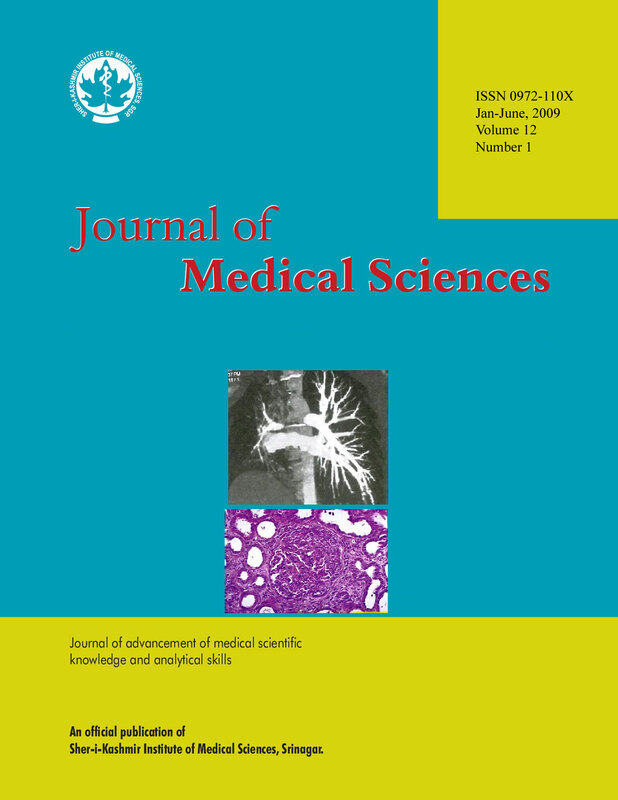 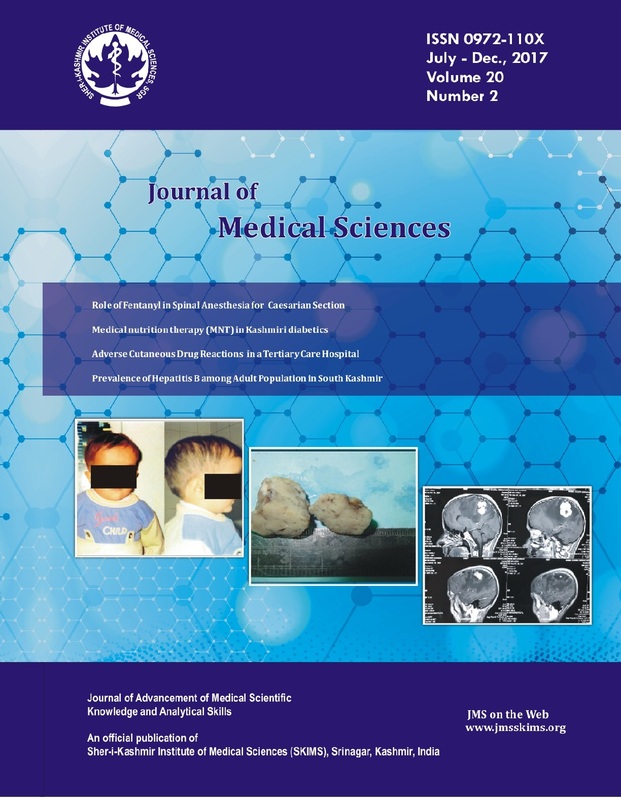 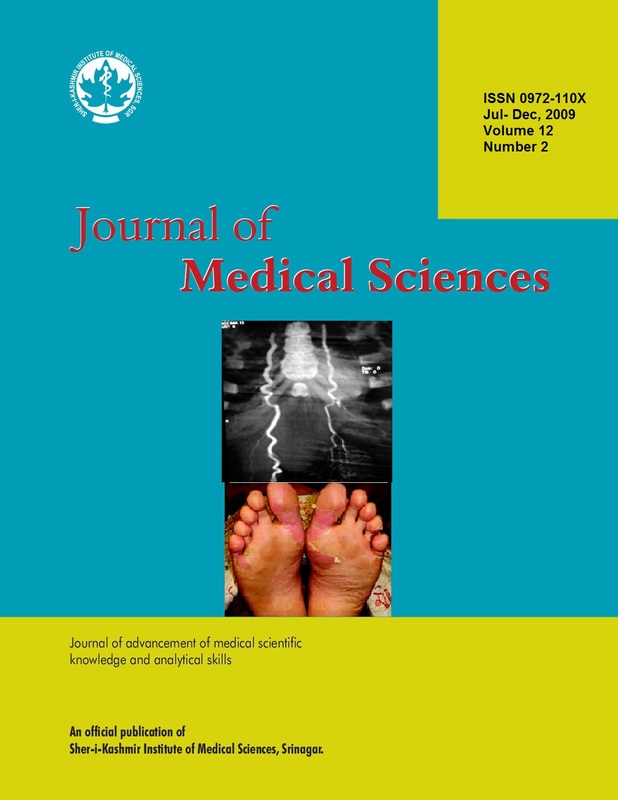 The third supplement of the Journal of Medical Sciences based on the abstracts of the Annual Postgraduate Research Program of the SheriKashmir Institute of Medical Sciences is to hand. 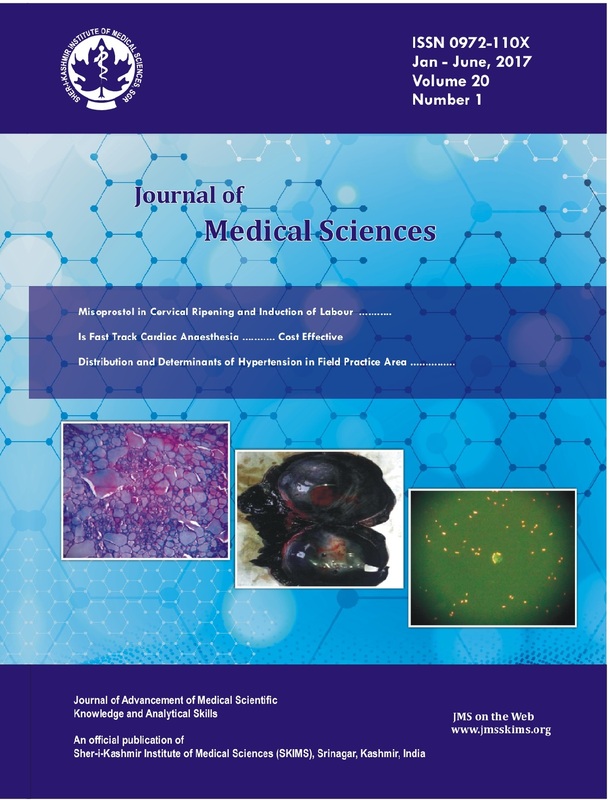 Parallel with the objective of producing quality manpower, SKIMS has been in the forefront of research that has not only been need based but in many instances path breaking too, serving as the leading light for the world. 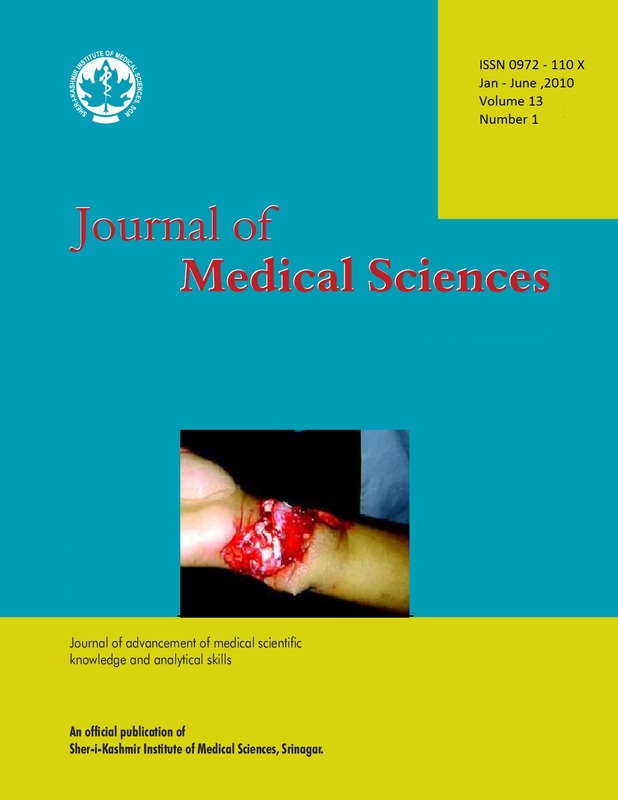 An important next step is to take the completed research a bit further for publication in citable and indexed journals. 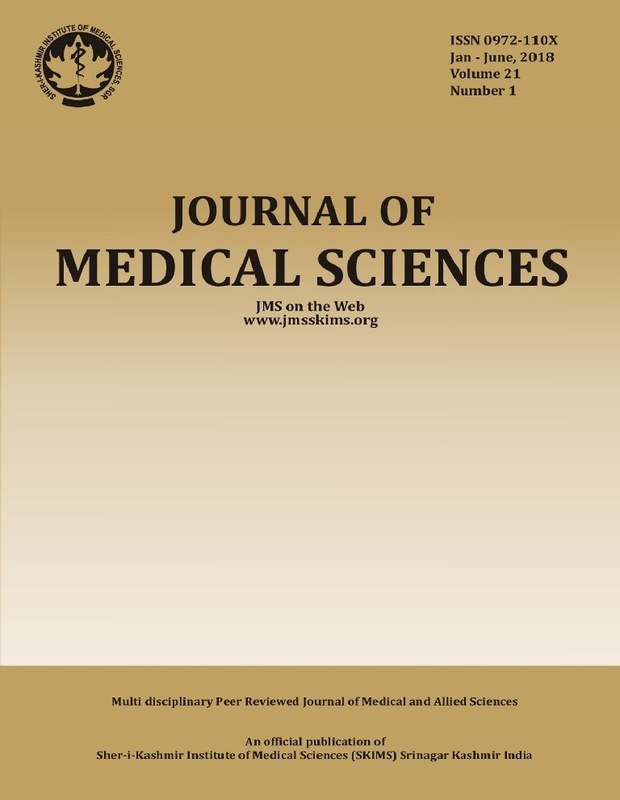 Much as we would despise it, “publish or perish” and 'research not published is research wasted' continue to be the mantra in medical science. 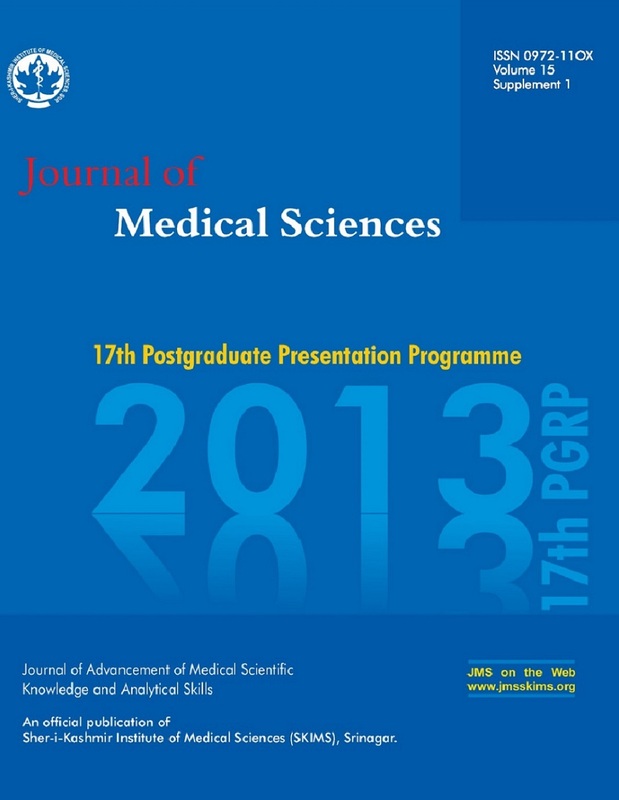 We take the pleasure of bringing you a Supplement issue of ‘Journal of Medical Sciences’ on selected papers of 17th Postgraduate Research Presentation Program (PGRPP). 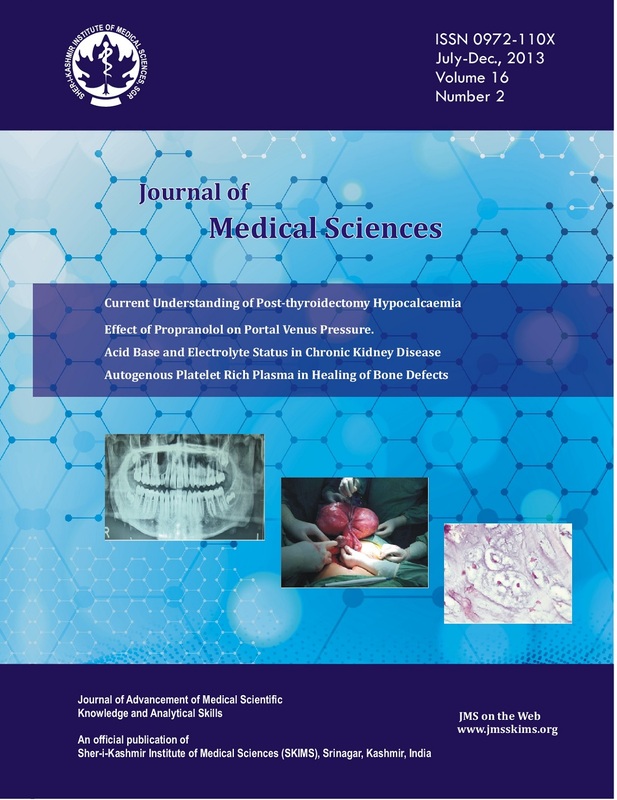 Each supplement of this exclusive edition will contain Abstracts of original articles submitted by postgraduates and postdoctoral scholars for presentation in PGRPP. 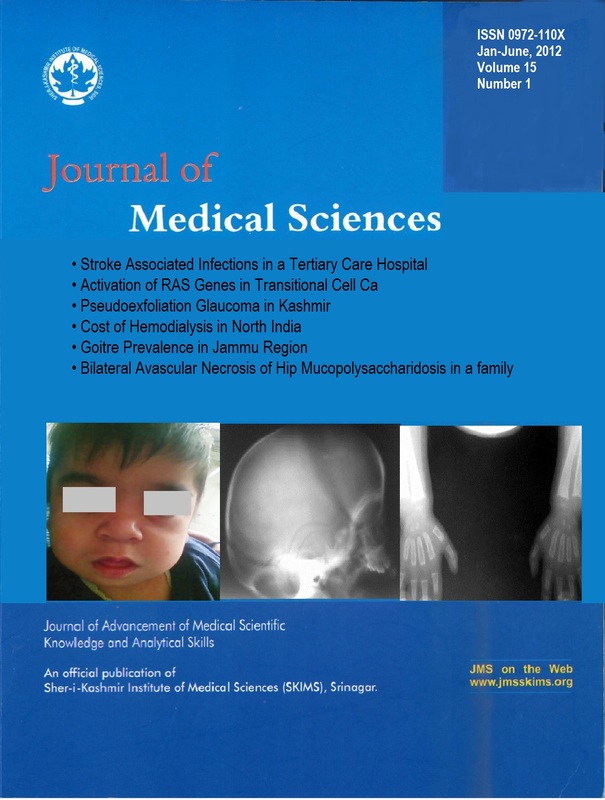 This endeavor is a “first of its kind” in the history of JMS SKIMS. 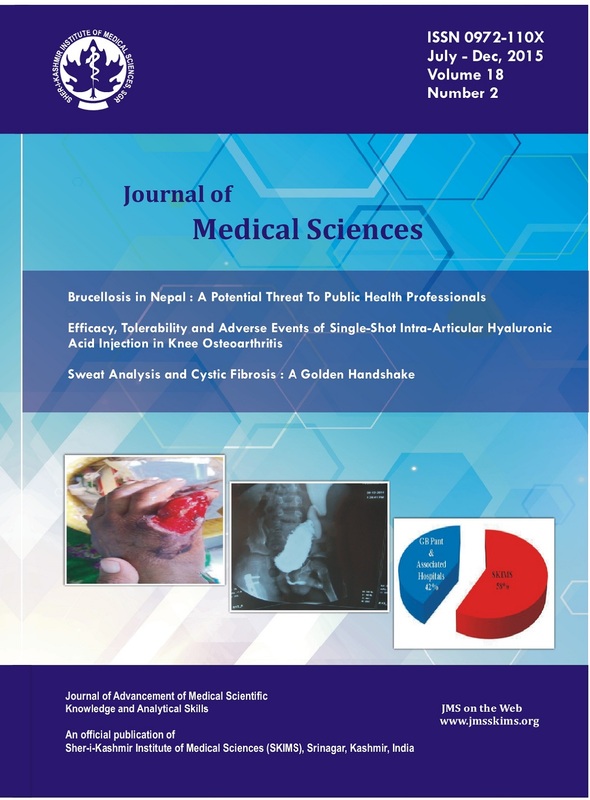 We, at the Editorial team of JMS are very happy to bring this special supplement edition on a regular basis. 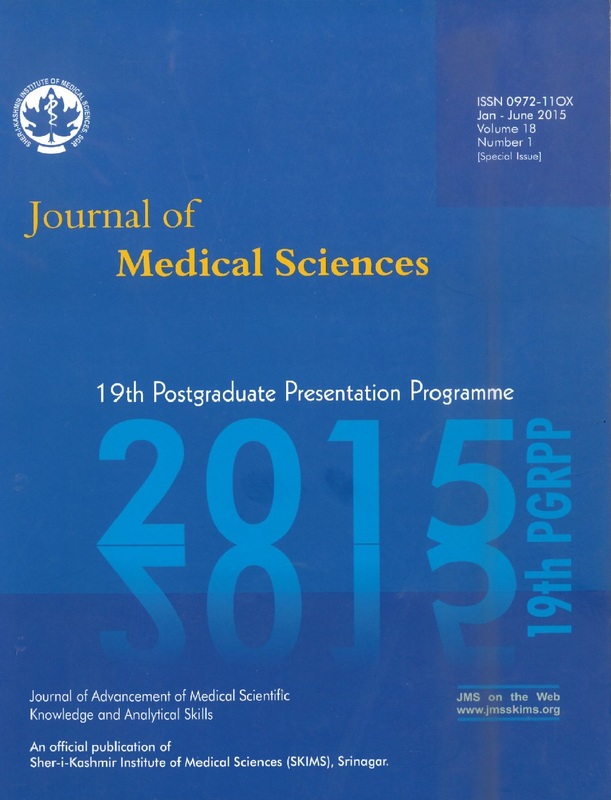 Postgraduate Research Presentation Program (PGRPP). 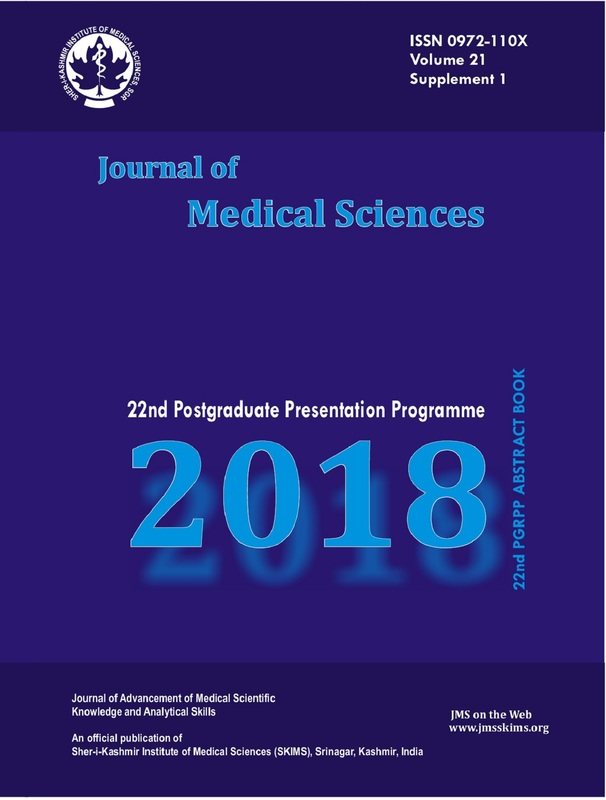 Each supplement of this exclusive edition will contain Abstracts of original articles submitted by postgraduates and postdoctoral scholars for presentation in PGRPP. 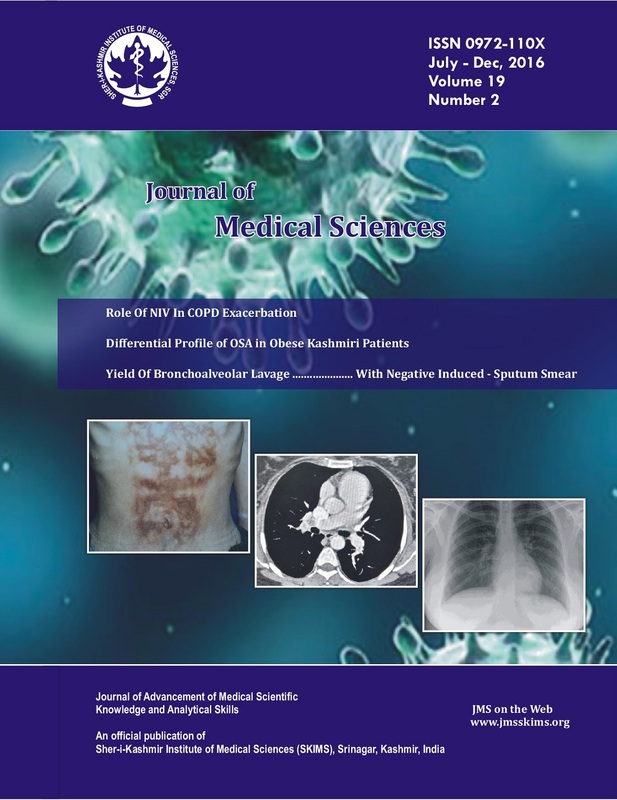 Serum Magnesium Levels in Exacerbation of COPD: A Single Centre Prospective Study from Kashmir, India.